As Mr Kharge tapped his shoulder to ask him to move aside during his speech, the TDP MP turned to say "why are you beating me? This is not good... Why are you beating me?" 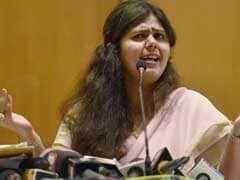 New Delhi: Congress Leader Mallikarjun Kharge was stunned Tuesday when a Telugu Desam Party lawmaker in the Lok Sabha accused him of "beating" him while he was tapping his shoulder asking him to move aside. While Mr Kharge was speaking on the Motion of Thanks on the President's Address, the TDP members, along with those from YSR Congress Party, were in the Well demanding special package from Andhra Pradesh and protesting that there was no mention of it in the Union Budget. 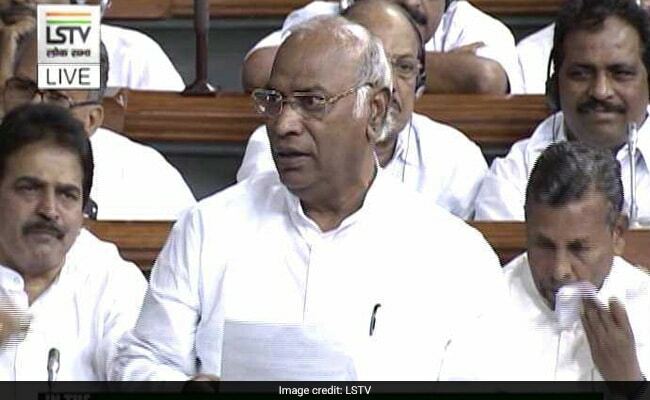 Although Mr Kharge continued his speech amid the din, a TDP MP came and stood right in front of his desk-- thereby blocking Kharge's sight with the Speaker's chair. As Mr Kharge tapped his shoulder to ask him to move aside, the TDP MP turned to say "why are you beating me? This is not good... Why are you beating me?" A stunned Mr Kharge could not retort, but another TDP MP Jayadev Galla was seen trying to calm down his colleague. Prime Minister Narendra Modi was in the House when Kharge was speaking. As Mr Kharge finished his speech, UPA Chairperson Sonia Gandhi was also seen talking to the TDP MP.